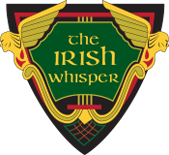 Steve returns to the Irish Whisper on Friday April 14 for hours of solo sing-along Irish pub songs (and a few favorite cover songs as well)! Why not come down to National Harbor to enjoy the spring weather, enjoy some live music and have a pint of Guinness or some Jameson's? Steve performs as a solo musician, and as the founding member of Capital Celtic - one of the most requested Celtic trios in the DC area. Browse his full schedule here, or explore his interactive performance map here.